The HSC Leadership Centre, formerly the Beeches Management Centre was established in 1993 to provide a range of management and organisational support to health and social care organisations. Since 1993, by developing a range of innovative, high quality and cost effective products and services, The Beeches successfully expanded its client base to include many other public and private sector organisations. On 1st July 2011 the Beeches Management Centre (BMC) including Nursing, Midwifery and the Centre for Professional Development Unit transferred to the Business Services Organisation (BSO). Following the transfer it was further proposed that the Nursing Education and Development Consortium (NEDC) transfer to the BSO. As set out in the new governance arrangements and management structure for the new arrangement in the BSO, it was decided two new units would be formed, one to provide Management and Organisation Development and the other Clinical Education to Nurses, Midwives and Allied Health Professionals, to the whole of Health and Social Care Northern Ireland (HSCNI). Following a period of consultation with staff and other stakeholders about what the new units should be called the HSC Leadership Centre and the HSC Clinical Education Centre emerged as clear favourites. Both titles clearly identifying the nature of each unit and that they are part of the Health and Social Care Family. 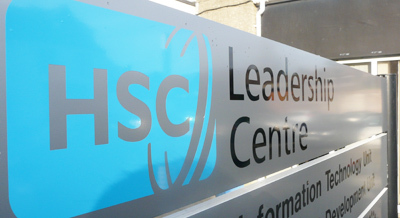 On the 10th November 2011 the HSC Leadership Centre was officially launched, it incorporates two previous units from the BMC, Management Development and IT and Web Business Solutions.